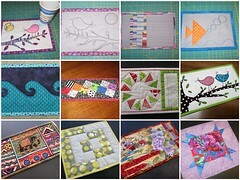 My completed quilts and quilty projects, most recent on top. 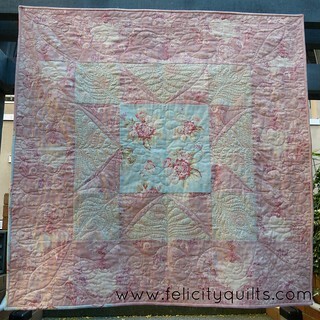 My submission to Vancouver Modern Quilt Guild's Michael Miller Cotton Couture challenge. Blogged. 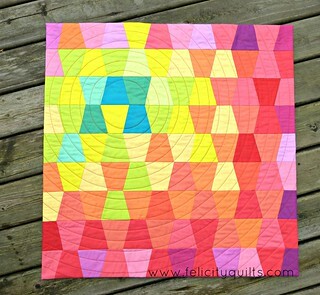 Another longtime WIP, blogged here. A longtime WIP finally finished. 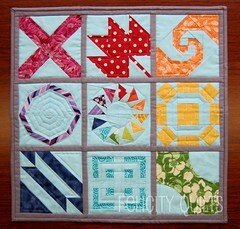 Blogged here. For my boss. Group project with my coworkers. 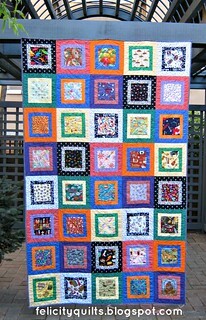 A quilt for G's Kindergarten directress. Details here. 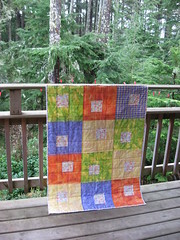 My Madrona Road challenge quilt wherein I challenged myself in many ways. Details here. For a coworker's ringette team fundraiser. 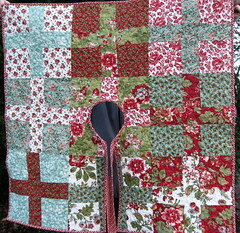 Blogged with a brief tutorial here. For a friend's food processor and stand mixer. 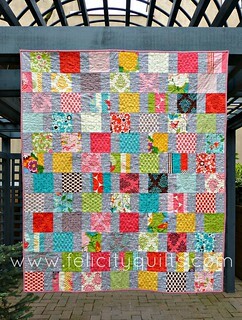 Blogged here. For my great-nephew (holy crap that makes me feel old! 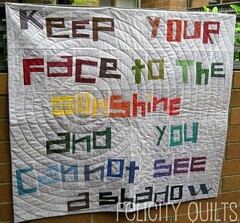 ), blogged here. 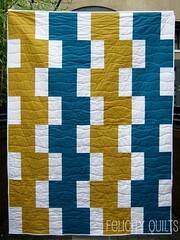 A charity quilt, a sized-down version of my Easy Going Modern pattern. 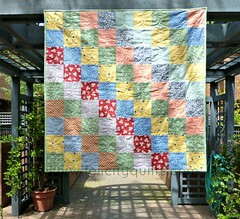 Blogged here. 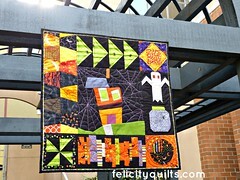 Made with blocks won in our guild's annual Halloween block lottery. Details. 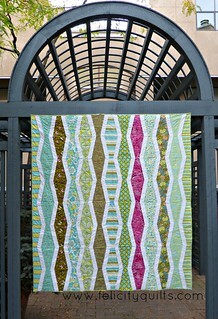 When I found the triangles that I'd trimmed from other blocks but kept for a "someday" project, this quilt just jumped into my head. 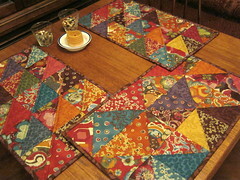 Blogged here (initial process) and here (finish). 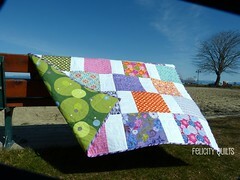 For a very good friend's daughter. Blogged with lots of photos here. For my daughter. All the details here. 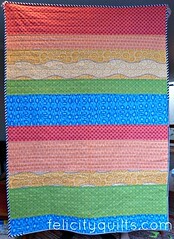 Begun November 2011, finished December 2011. 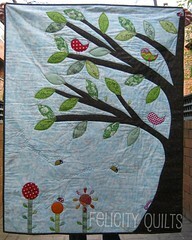 Blogged here. 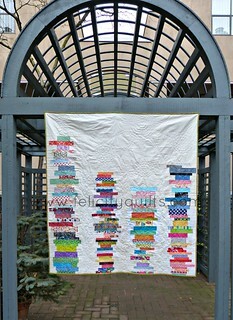 Details here - started March 2011, completed October 2011. 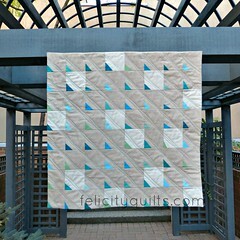 Made for the For the Love of Solids swap. 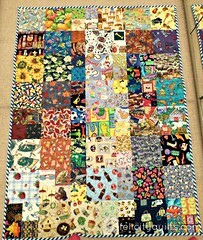 Begun August 2011, completed September 2011. Process post. 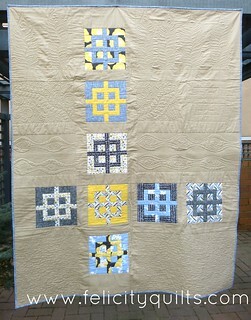 Fundraiser quilt. 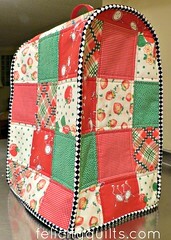 Began July 2011, completed August 2011 - details here. 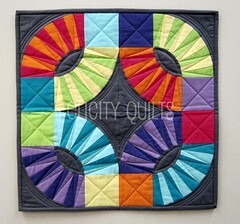 My Kona Solids Challenge quilt. 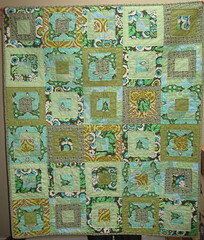 Started March 2011, completed June 2011. 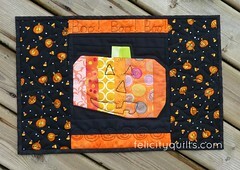 Blogged here. 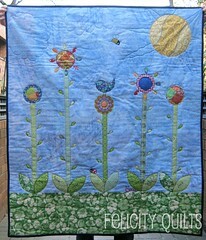 This quilt began life as a sewing machine cover in October 2010, and was finally finished as a wallhanging June 2011. 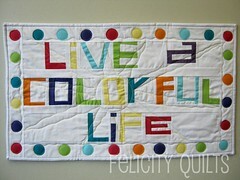 Blogged here. 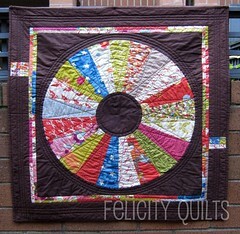 Started April 2011, finished May 2011. Deets here. 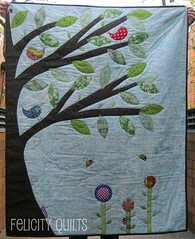 Began February 2011, finished March 2011. All the details are blogged here. Began before July 2010 (! 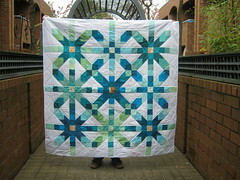 ), finished February 2011. Blogged here. 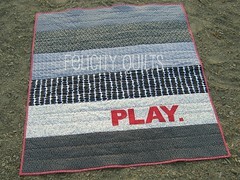 Click here to see the blog posts for these mug rugs. 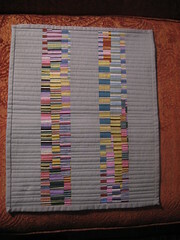 Began November 2010, finished December 2010. Bloggy details here. 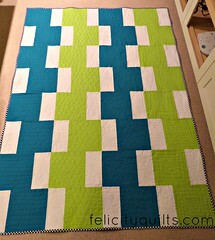 Birthday quilt for my dear sister. Blogged. is for her doll. Blogged: biggie and mini. 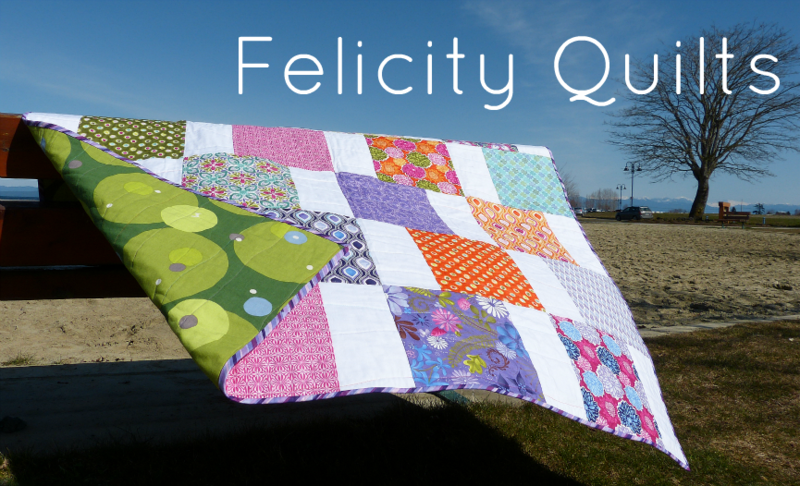 Charity quilt started in...what? 2006, I believe. 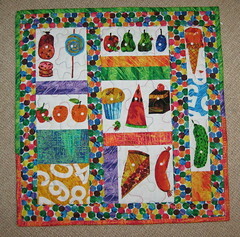 Finished July 2010. For Cops for Cancer. Blogged. 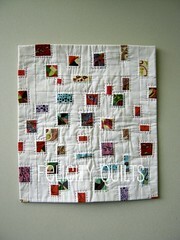 For the Modify Tradition mini-quilt swap, my first-ever Flickr swap! 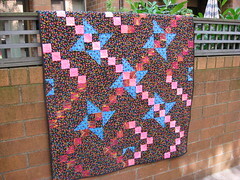 Started May 2010, completed June 2010. Blogged. For my niece Rose. 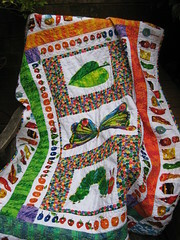 Started February 2010, completed April 2010. Blogged. 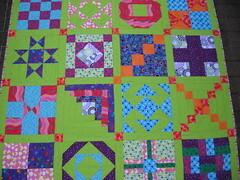 Started and finished in February 2010. 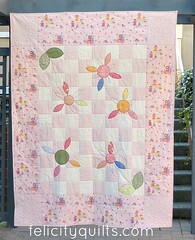 One of my guilds makes preemie quilts as their charitable outreach. My twin nephew and niece were born at 25 weeks 3 days so this cause is near to my heart. Blogged. 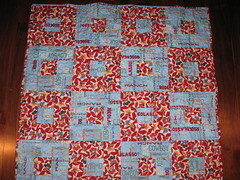 Started January 2010, finished February 2010. To welcome our dear friends' son. Blogged. The mini that started it all, or that was started by it all. 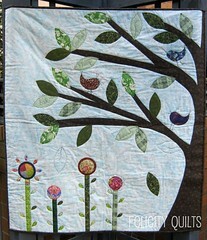 I discovered modern quilting and my world changed. Made January 2010. 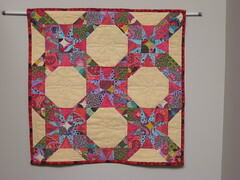 Blogged with better photos.